Happiness is living a fulfilling, balanced life that is true to me. It’s about having daily moments of joy, delight and pleasure, as well as having a bigger, long-term sense of purpose and meaning. That is what makes a happy life: pleasure + purpose. How did you turn Happyologist from a corporate office worker? I went into marketing in the corporate world excited and eager to learn. I learned a lot, I grew a lot, and I am grateful for the experience I had. However, whilst I was there, I quickly realised it wasn’t an environment that was aligned with what was important to me and what I wanted to achieve in my life. As I was trying to figure out whether to stay or go – and where to go – I read an incredible book called The Happiness Advantage by Shawn Achor. This introduced me to positive psychology, the science of happiness and human performance. When I read it, I was mesmerised. I had an epiphany moment that made me realise that was exactly the field I wanted to get into. That, combined with a fantastic coaching session, gave me the confidence to start exploring it further. Whilst I was still in my corporate job, I started to explore positive psychology by reading more books on it, taking online courses on it, and doing introductory training courses to it. I also did a coaching accreditation on the side of my job as I wanted to help other people gain the clarity that my coach gave me. With every step I felt more sure it was the right direction for me to go, so eventually, I took the leap and left the corporate world to go do a Masters of Science in Applied Positive Psychology. As I did my masters, I started my business and became the Happyologist®. Through my intensive year of doing the masters full-time, every spare moment I had I spent building my business. I gave free coaching sessions, free workshops, and free talks to get more experience in the field, and to get the word of mouth flowing. That meant that when I finished my masters I was able to go straight into doing my business full-time. How did you come to your level of positivity and what did you have to overcome to achieve it? I am a natural pessimist so I had to work hard at training myself into an optimist! It took time and effort but eventually I was able to turn it into a habit. My process of change started when I got introduced to positive psychology and started to learn the science behind it. The key thing was to make a proactive effort to change my mindset but also to remind kind, patient and loving with myself whilst making the change. These things take time so sometimes you have to push and other times you have to just breathe. My whole path to positivity was learning to balance between going after it and letting it come to me. The number one tool I recommend for everyone is the gratitude exercise. Everyday, for at least 21 days in a row, finish every day by writing three specific things that you were most grateful for in your day. Make them really really specific to something that happened in your day rather than writing the same general things daily. As you do this every night, you will naturally start to look for things to be grateful for and you will notice your perspective shifting to one of positivity. You will literally start to see everything there is to say thanks for rather than the things you have to moan about. This in turn will fuel your optimism and make positive thinking easier for you. How exactly do you help people during your coaching sessions? Every coaching client comes to me with a particular challenge or goal for us to work on. Sometimes they feel a bit stuck and need a nudge, other times they are looking to feel more confident so they can truly go after the job or life that they want. Some come with a clear desire to change their mindset to one of positivity, and others simply feel they want an accountability partner to help them get on with things. Whatever the focus of the session or coaching programme is, they always leave feeling empowered, confident, and clear about what they should do next to keep moving forward. How can someone with anxiety or depression turn Happy? Depression is a mental illness so if you think you have it you shouldn’t be worrying about ‘getting happy’ but about treating your depression. See your GP or a professional who can help create an effective plan for it. Anxiety on the other hand comes in all shapes and forms. Some have moments of it and others suffer from it to the extent of panic attacks. When it comes to anxiety and happiness, the worst thing you can do is to think ‘you have to be happy’ all the time. This would only create more anxiety for you! Instead, acknowledge that as humans we are emotional creatures and a part of living a full human life is experiencing the full range of human emotions – both the good and the bad. Remember that the good shows you what makes you happy and fulfilled. The bad shows you when perhaps you’re on the wrong path or reminds you of who you are and what’s important to you. See happiness as something that happens as a byproduct of your actions, not some kind of destination you reach. Simply take the actions in your life that brings you both pleasure and a sense of purpose – and remember to take care of yourself fully so that you are healthy and fit enough to experience true happiness. Sleep, relaxation, exercise and nutrition all play a massive role in having a happy, healthy mind! 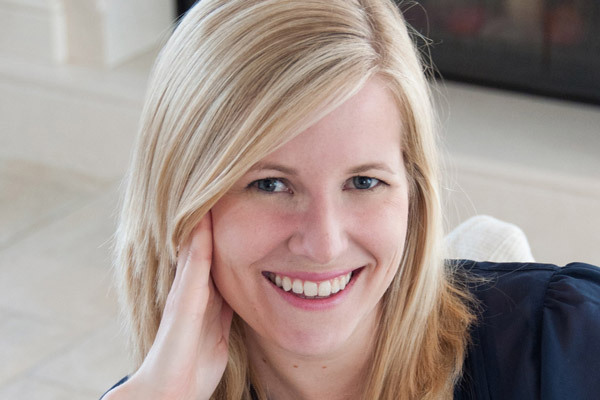 Susanna Halonen, also known as the Happyologist®, is a happiness coach and writer. She helps you to kill your self-doubt, embrace positive thinking, and build a life you love. She is an accredited life coach, positive psychology practitioner and a motivational speaker. Her book Screw Finding Your Passion debunks the myth that you should find and follow one passion in life, and instead shows how to live a more fulfilling life by living your whole life with passion.